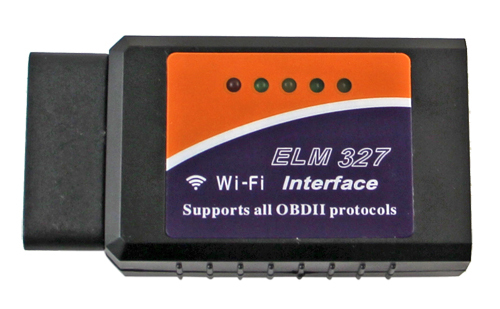 Developing version of FORScan for iPhone , we had to research a problem of china ELM327 WiFi adapters poor performance. Although WiFi is generally faster than Bluetooth, according to FORScan logs sent to us by those of our users who own them, their china WiFi adapters demonstrate very poor performance, much worse than ELM327 Bluetooth. Our analysis show that source of the problem is the most important parameter of every ELM327 adapter – minimal response time (ping). 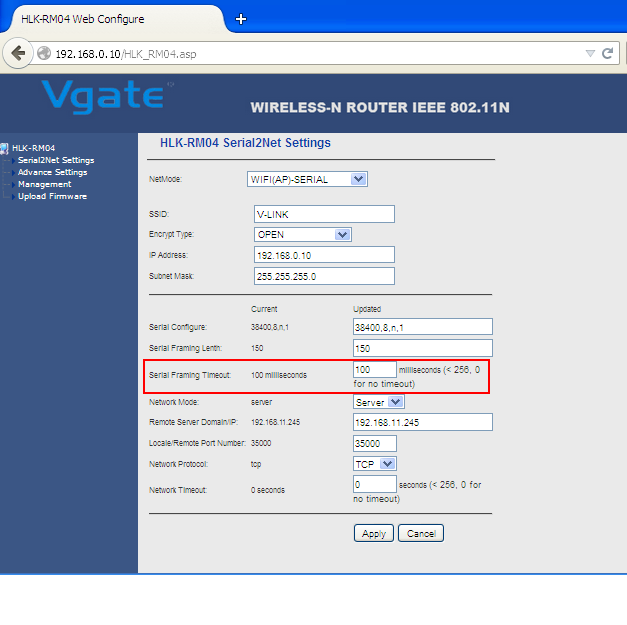 Minimal response time (ping) – minimal possible time from the moment request to adapter is sent to the moment the response from adapter is received. 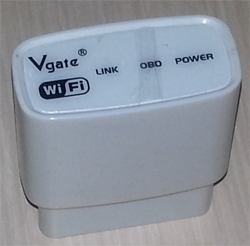 Connect your computer or other device to the adapter over WiFi. Enter login ‘admin’ and password ‘admin’. Note: login and password may be different. If admin/admin doesn’t work, contact your seller for the actual password. Change the value from 100 to 1 (not 0!) and click apply. As we can see, response time is much better now. 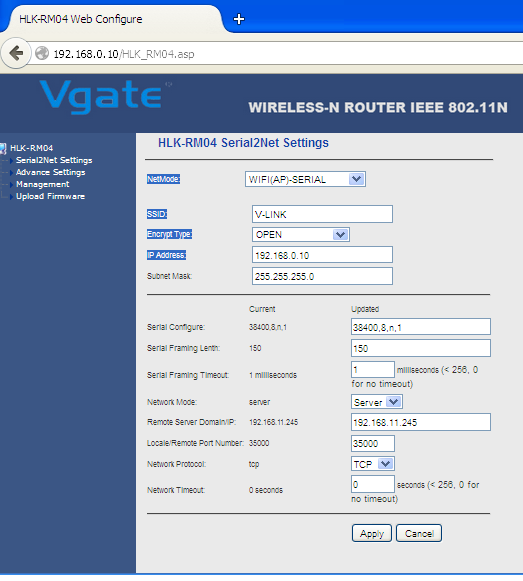 Procedure for other adapters should be simiar, although Web interface, credentials etc may differ. Important finding of Grzegorz Milaszkiewicz: right password for such adapters is '000000', so right credentials are admin/000000. 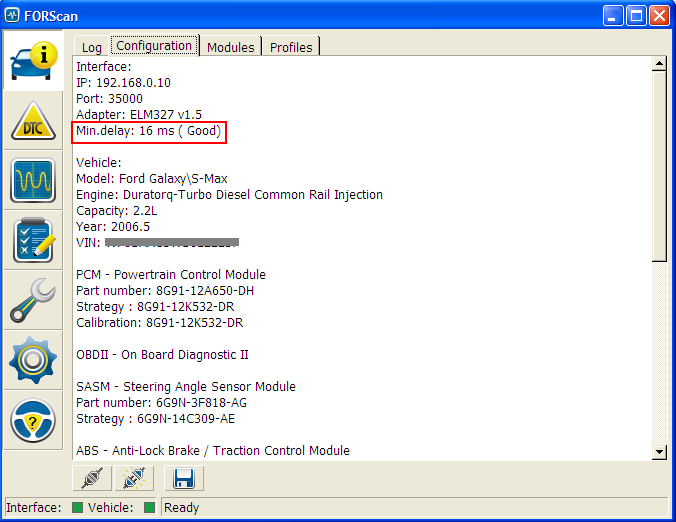 I have the second OBD scanner (with the password 000000 and can't get it to desired response. It is always in 150 to 170 ms range and it causese forscan to hang and freeze. Any solution? Wild E Coyote wrote: I have the second OBD scanner (with the password 000000 and can't get it to desired response. It is always in 150 to 170 ms range and it causese forscan to hang and freeze. Any solution? Are you able to login to the admin panel? If yes, can you please post here a screenshot of the admin panel, so we could see what parameters can be managed? Hm... can you please provide more details? It is always showing the time response gretaer than 100 ms. I managed to do all the tests once including the rolling test (monitoring each wheels speed) and that was it. After that I can't get it to do anything. It will freeze even on connecting to the car. Same thing using the iOS version. So, I bought another one, the white VGate as shown here. 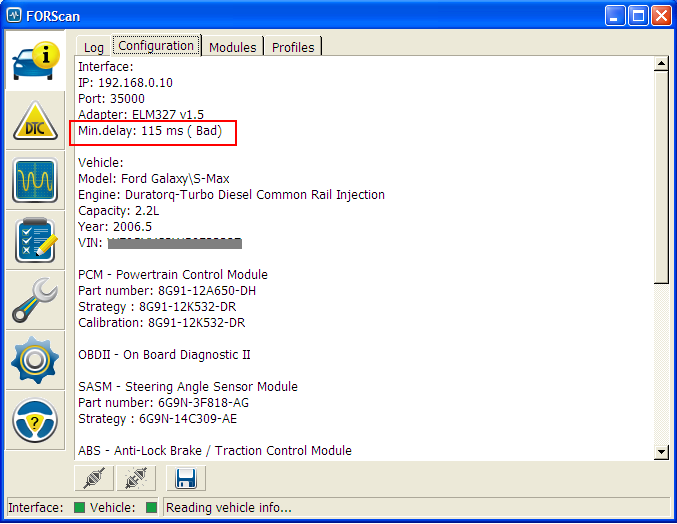 The windows version (PC) reads car, recognises it, I select PID's to check wheel speed of each wheels but can't get it done. The message is the test has been cancelled. iOS connects to the car but then it just freezes as if the link is way to slow. I tried setting the response time but the response from Forscan is always bad. I got it just once to be medium. I notice that OBD scanners get rather hot during operation. Is that normal? Perhaps they heat up to much, up to the point of affecting their performance? To sum up: I was able to perform one set of tests on my puma and that was it. I tried to connect it to a 1.8 TDCI Mk2 focus (115 bhp) and a 1.6 zetec (100 bhp) Mk2 focus but it would freeze while reading the car after initial connection. Wild E Coyote wrote: It is always showing the time response gretaer than 100 ms. I managed to do all the tests once including the rolling test (monitoring each wheels speed) and that was it. After that I can't get it to do anything. It will freeze even on connecting to the car. 1. We don't understand why the repsonse time is not changed, even although you successfully manage it through the admin panel. The fact the problem reproduces on 2 different adapters makes it even stranger. We have no such complaints from other users with WiFi. 2. FORScan should not freeze even with high response time. Not tested iOS version about it, but Windows version works ok. So, can you please send us FORScan logs from Windows version as described in Contact Us section (by email or via private messaging on this forum)?